There is no unified theory of causality in the sciences and in philosophy. 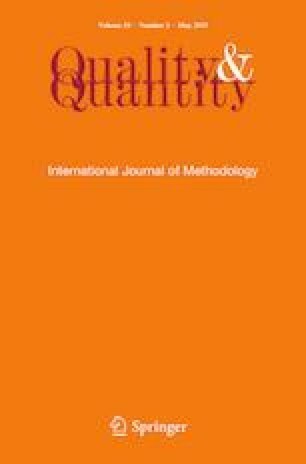 In this paper, we focus on a particular framework, called structural causal modelling (SCM), as one possible perspective in quantitative social science research. We explain how this methodology provides a fruitful basis for causal analysis in social research, for hypothesising, modelling, and testing explanatory mechanisms. This framework is not based on a system of equations, but on an analysis of multivariate distributions. In particular, the modelling stage is essentially distribution-free. Adopting an SCM approach means endorsing a particular view on modelling in general (the hypothetico-deductive methodology), and a specific stance on exogeneity (namely as a condition of separability of inference), on the one hand, and in interpreting marginal–conditional decompositions (namely as mechanisms), on the other hand. Comments, in particular by Catherine Gourbin, Renzo Orsi, and Frans Willekens, on former versions of this paper, are gratefully acknowledged.